Andy Kiang, Brogent. Photo by Rona Gindin for InPark. 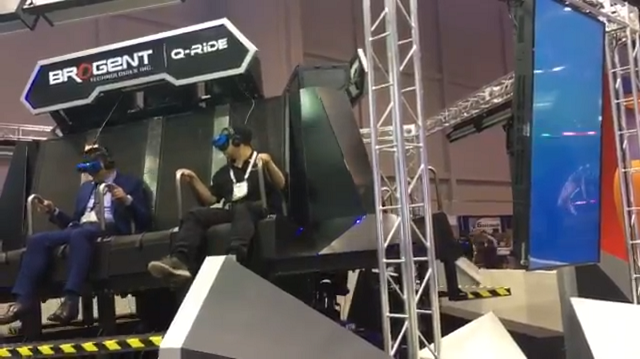 A virtual reality experience, available with three storylines, is the newest addition to the attractions market from Brogent Technologies Inc.. Called the Q-Ride (pictured above, image courtesy IAAPA), this system features a 360-degree view, with differing pictures depending on where a guest is seated, and seat movements that coincide with the script. “Our ride controls the motion and guests have the freedom to choose where to look,” said Andy Kiang, director of innovation. The first three themes are an undersea experience with 10-foot visibility, a shooting game using an interactive device, and a hot air balloon journey. The headpieces are all one piece including glasses and speakers. 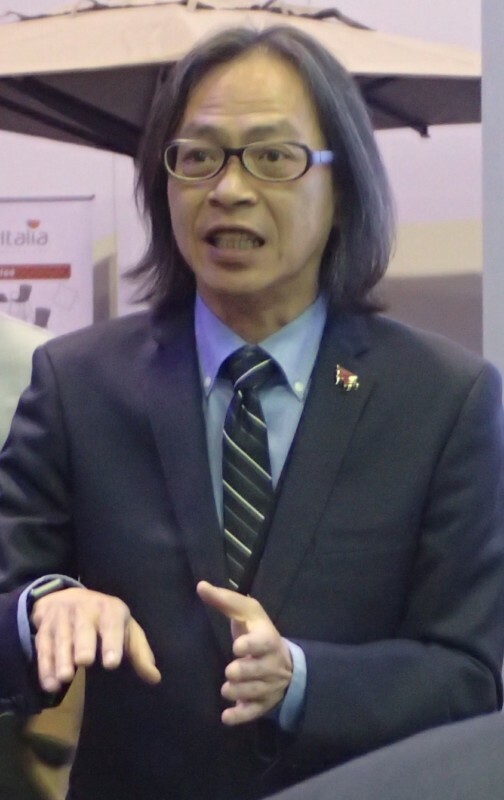 “That lowers the loading time for operators,” Kiang noted. The ride seats 12, making it a fit for family entertainment centers, arcades and shopping mall, Kiang said.